EconoUs is a national conference focused on community economic development. The 2017 theme of “an economy that works for all” began with planning an event focused on zero-waste, inclusion, reconciliation, and the local economy. It was then experienced by over 380 delegates and visionaries from across Canada through three days of local tours, interaction with local vendors and artists, collaborative plenaries, and 30+ campus-style workshops. 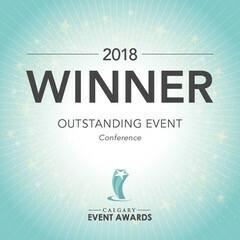 Vida Events congratulates the planning partners: CCEDNet, Thrive, Momentum, Calgary Economic Development, Calgary Regional Partnership, REAP, and Mount Royal University, as well as the numerous community leaders, entrepreneurs, and sponsors for bringing this inspirational vision to life! View the great event photos here.